Are you unsure of which roof tiles are the ideal solution for you? Are you uncertain of which fixings and flashings you'll need with your tiles? Speak to our team online via the live chat in the lower right hand corner or call 01295 565 565. They'll help you pick the perfect roofing tiles for your project and will ensure you have all the roofing materials you'll need. From concrete to plastic, Roofing Megastore have one of the largest ranges of roof tiles available to buy online. Each are from leading brands and recognised for their quality. These roof tile brands include Redland, Britmet, Marley, Tapco and many more. Our range of tiles include a variety of styles. These include the gorgeous slate appearance of our synthetic tiles and stunning double roman of our concrete tiles. This selection of styles allows you to find the perfect finish for your property and its surroundings. Roofing Megastore stock the accompanying ridge, hip and valley tiles to accompany each of our popular roof tiles. 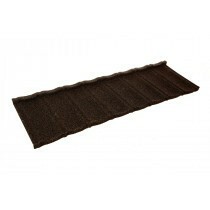 This allows you to achieve a clean and faultless appearance on your roofing project. 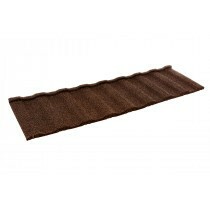 We also stock the breathable membranes required to fit many tiles. Have Questions About Our Roof Tiles? If you have questions about our range of roofing tiles, speak to our team by telephone or via the online live chat. With over 40 years of experience in roofing, we’ll help answer your questions about roof tiles. We will also help you pick the necessary fixings and flashings for your project. Buying roofing materials can be daunting, especially when ordering them online. With over 40 years of experience in roofing, however, we get asked lots of questions about our growing range of roof tiles. Here are some of the most common questions with answers for each! What Are The Different Types of Tiles? 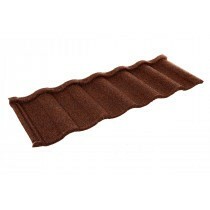 We offer roof tiles manufacturered from a variety of different materials. These include traditional materials, such as concrete, clay and slate. 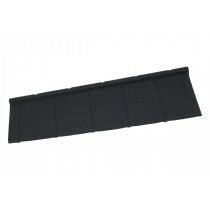 We also offer modern roof tiles, which include metal and plastic varieties. Whilst these all do the same job, they are designed for different purposses and offer unique benefits. What Are the Best Selling Roof Tiles? Whilst traditional roof tiles are still popular, there is a rapid growth in the number of home owners choosing to use metal or plastic roof tiles. This is due to the longevity they provide and easy installation of tiles such as the Britmet Villatile, Eco Slate, Envirotile and Tapco Classic. Should I Buy Roof Tiles or Sheets? Roof tiles are typically more difficult to fit, but they offer a truly gorgeous auesthetic. Tile effect roofing sheets try to provide a similar appearance, although many still favour the finish provided by roof tiles. Ultimately it comes down to your level of budget, confidence in fitting the materials and personal taste. How Do I Fit Roof Tiles? The installation methods can vary dependent upon the type of tile and manufacturer. We provide installation guides for the majority of our roof tiles, including concrete, metal and plastic varities. Follow the manufacturers recommendations to ensure your guarantee is valid and roof tiles are safely fitted. If you have more questions about our lightweight roof tiles, speak to our team online or by telephone. With over 40 years of experience in roofing, we'll help answer your questions and will ensure you have everything you'll need to complete your roofing project.